De-stress your weekends with Fall events this October! With a Friday afternoon sigh of relief that the work week is almost over, it’s time to put away your computer, switch off your notifications and relax into the tranquility of the weekend. 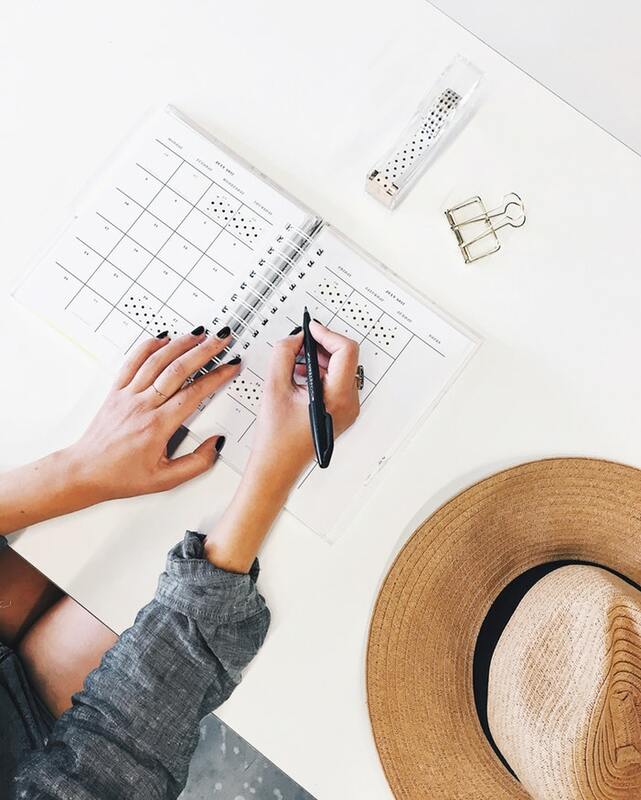 Even if your agenda is crazy, it’s important to utilise the time that we get away from our desks to focus on activities that will allow us to enjoy some downtime to unwind, reflect and re energize for the upcoming week. The (even though short) amount of time that we get over the weekend is vital to be used for leisurely activities to replenish our attention and motivation, revive your mind and body after all the thinking and doing it does through the work week. Luckily, New York is a city where there’s always something new and exciting to experience and see! And with the change of season there’s even more new and and accessible ways to spend your free time this Fall. For this reason, and to motivate you to get out there and relax into the weekend, here are some worthy events and activities you might want to check out. I know I will! Sometimes the hustle and bustle of the city can get to be too much, try slowing the pace down and take a weekend trip upstate by taking a scenic drive up along the Hudson Valley - breathe in the fresh crisp air and let the beauty and tranquility of fall make this activity all the much more mind clearing and reinvigorating. Ok, so this might be a winter activity but the rink is up! Take some time out of your day or night and skate across the rink and let any of your weeks thoughts slip away. You can’t ignore the fact that it’s almost Spa Week in New York! Even just saying it makes me feel instantly relaxed! If you are looking to really unwind, take advantage of this event by zoning out while getting a relaxing facial or deep massage and letting your body unwind to refresh, refocus and reset. If you’re a coffee lover, then this is your lucky weekend because the New York Coffee Festival is back! Take your time wandering through the vibrant coffee scene, smell the coffee scented air and taste test your way through different coffee brews, enjoy with friends as a way to unwind and relax. Halloween is near and the Great Jack O Lantern Blaze is on! Make sure to make a stop, take in the bright lights of the incredibly carved pumpkins and take a walk through the festival , get into the holiday spirit and let the creativity inspire you. Looking for a more inspiring, positively uplifting and meditative approach to unwinding and relaxing? October events at Primary are a great way to connect with yourself and with others, dedicated to inspiring a better work life balance, from networking events and growing your business to self realization and discovery all while developing ways of taking care of your mind and body. To keep your mind and body in balance, take the time out this weekend to relax and unwind by doing something that’s mindful to you. There is no shortage of incredible opportunities for helping you feel your best in New York City, including Primary’s full slate of events and classes, but sometimes it can feel as if there is a shortage of time to take advantage of them and they often fall by the wayside when we get busy unless we commit in advance. Make sure you plan a feel-good summer this year--here are some wellness-centric events to make sure are on your calendar so you can thrive over the next two months! Flex your creative muscle while also strengthening your mind with an event that melds meditation and art. Zen teacher Kyoun Sokuzan will lead you in thinking about breaking through any obstacles you face between you and fully realizing your creativity. Daybreaker is a morning yoga sess and dance party that happens in 22 cities around the globe. They’re coming to NYC June 16 to give the crowd their signature “DOSE”, which stands for Dopamine, Oxytocin, Serotonin, and Endorphins, the natural feel-good hormones and brain chemicals your body produces after a fun yoga class or dance party. It’s bring your own mat for yoga, but Daybreaker will bring the energy and non-alcoholic beverages you need for a morning boost! If you’re looking for a kiddo-friendly event, check out this free fitness fest in the Bronx. It will feature cooking and fitness demonstrations, games, sports (including relay races), and arts & crafts, face painting, and more! Attendees will also get a chance to create their own “fruit creature” and enter free raffles and giveaways. How to Have a Great Day! Free; Email rebeca@liveprimary.com to sign up! Join Primary for an event that will give you the tools you need to make the most of each day in ways that feel good. Transformational Health and Life Coach, 500 Hour Registered Yoga Teacher and Inspired Living Facilitator, Stacy Brass-Russell will introduce guests to simple and enjoyable things you can do now to create positive changes. This immersive weekend takes place at the Shambhala Meditation Center of New York, but is open to new and experienced meditators alike. Led by Natalie Baker, a Buddhist practitioner and licensed psychotherapist, attendees will learn and practice mindfulness-awareness meditation, including sitting and walking meditations. One-on-one time with meditation instructors will also be available as an option. The meditations will be interspersed with lectures and discussions in small groups.